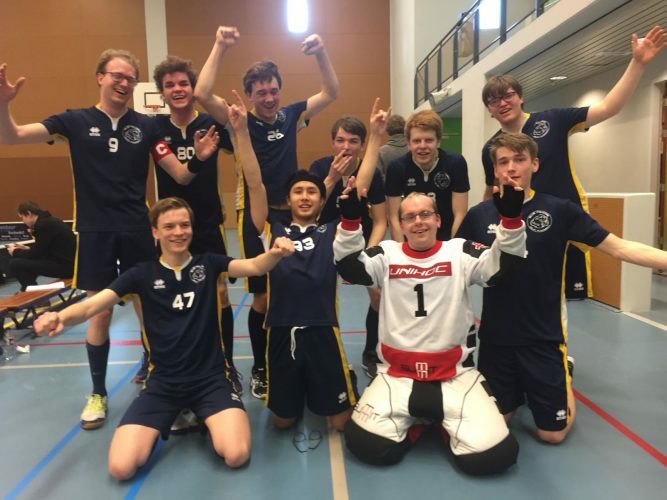 Floorball is a very fast and fun team sport! 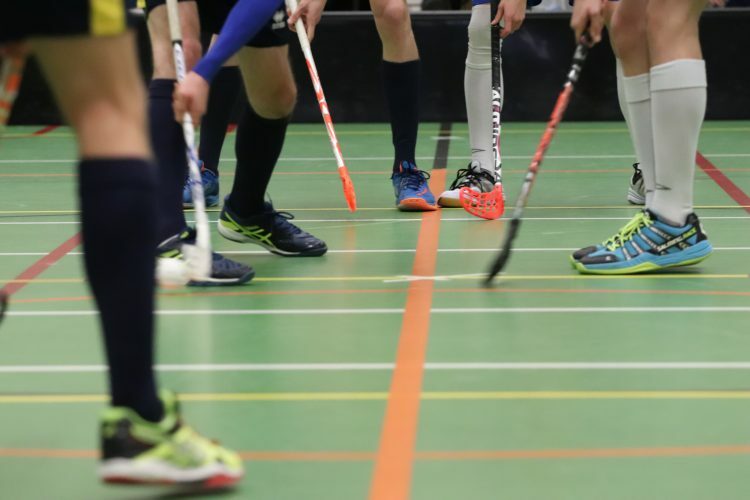 We are the student floorball association located in Delft and we invite you to discover this great sport as well. 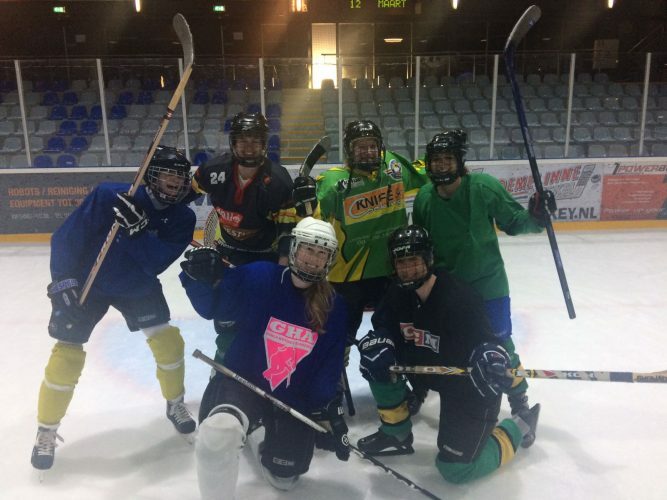 It’s a mix between indoor hockey and ice hockey. It’s very fast and easy to pick up. You play indoors, in a team, and you are allowed to play the ball with your stick, body and feet (scoring only with your stick). 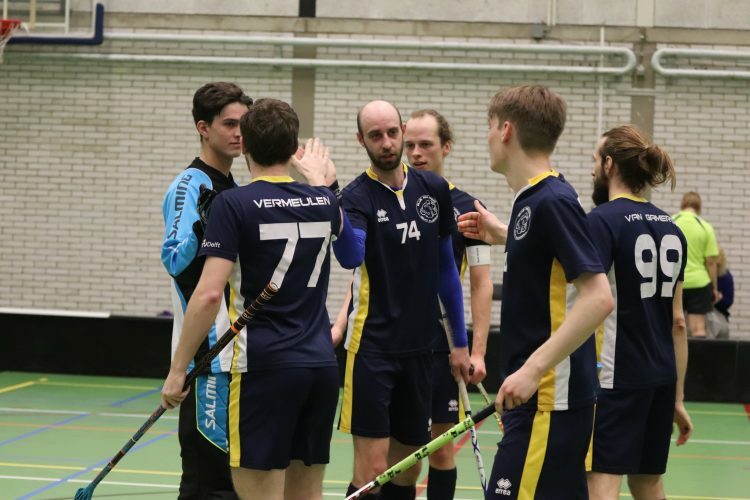 We are the student association for floorball and unihockey in Delft. Since 2007 we have grown into a lively and active association with about 70 members. We have four competition teams (1 ladies and 3 men’s) playing at different levels. Besides training, we also organize many for our members such as city trips, pub crawls and glow in the dark tournaments. Click here to learn more about the Blue Falcons! After the Tuesday training anyone can join for drinks in Cafe X. After the Friday practice we go for a bite to eat in Cafe X. Our Open Tournament is completely free! To participate in the practices regurlarly you need to be in possession of a TU Delft sports association subscription. The membership fee for our club is only €46,- per year. If you also want to play competition another fee will be added of €50,-.